When most people think of the best lotteries in the world, Poland Lotto—also known as Lotto Polska—likely isn’t the first choice they think of. However, that shouldn’t deter them from giving this great game a chance. Although its jackpots tend to be on the smaller side compared to some other and more famous games, they are still enough to drastically change your life. 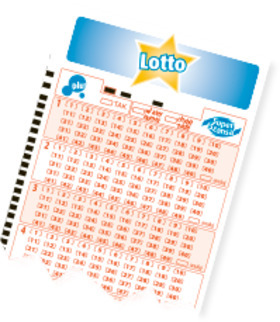 In addition, the odds of winning are much better than most other national lotteries, and the price of a ticket is low. As a result, Polish Lotto is not just one of Poland’s most popular lotteries but also one that is becoming increasingly popular among international players as well. Poland Lotto was founded by its operator Totalizator Sportowy in 1957 and has undergone several name changes over the years. 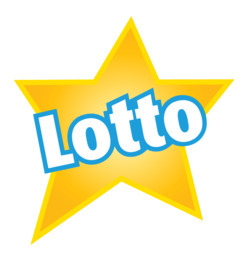 Between 1957 and 1974 it was known as Toto Lotek, but its name was changed to Duzy Lotek (in English this means “Big Lotto”) in 1975. This name stuck around for quite a few years—34 to be exact—until it became Lotto Polska in October 2009. Polish Lotto’s reputation grew beyond the nation’s borders once Poland joined the EU back in 2004, and nowadays it is even played by people on almost every continent, including North America, Asia, and Australia. What’s more, Totalizator Sportowy is known for giving back to the community, as it donates more than 1 billion złoty (approximately US $266 million) to various charity and developmental initiatives each year. In particular, it has funded both the development and upgrade of many sport facilities across the nation. Playing the Polish Lotto is both cheap (a single official entry ticket purchased within Poland costs about US $0.80) and about as easy as it gets: you pick six numbers (or use the QuickPick option to do so for you) from a range of 1 to 49. If your numbers match all six of the numbers that are drawn, you win the Polish Lotto jackpot. Honesty, there’s really not much more to it than that—no bonus balls or numbers or extras or anything of the sort. Your chances of winning the jackpot in Polish Lotto are 1 in 13,933,816, which is actually quite good when compared to many other national or international lotteries. The SuperEnaLotto, for example, is known for having some of the toughest lottery odds of any game in the world: 1 in 622,614,630. Meanwhile, the Mega Millions odds of winning are 1 in 302,575,350, and the odds of winning the US Powerball are 1 in 292,201,388. Therefore, the Polish Lotto really offers players a much fairer lottery experience overall; in fact, the Polish Lotto’s odds rank among the best of any major lottery that we’ve seen. But if we're going to compare grapes to grapes, Polish Lotto has the exact same odds as Canada Lotto 6/49, which tends to offer even bigger jackpots. Unlike many international lotteries, which usually have only two and sometimes even one draw per week, Polish Lotto has three weekly draws—meaning another opportunity to win is always around the corner. The draws take place on Tuesdays, Thursdays, and Saturdays nights in Warsaw at 9:40 pm local time (CET). Since its inception, this popular lottery has turned more than 1,000 people into millionaires. All winnings, from the smallest one all the way up to the highly coveted grand prize, are paid out as lump sums. In other words, there is no annuity option. All lottery wins in Poland above 2,280 złoty are taxed at approximately 10%. However, if you're playing Polish Lotto from outside of Poland, your own country may or may not tax you as well, which means you'd effectively be double taxed. Check your national and regional tax laws to see whether this would apply to you. If you’re worried that you physically need to be in Poland in order to play Polish Lotto, we have good news for you: you don’t. Many of the top online lottery sites allow people from practically anywhere in the world to either officially play the Polish Lotto or bet on the results of the Polish Lotto draws. These sites often charge a small fee yet provide an immensely convenient service that provides access to the world’s best lotto games via the browser on your smartphone or desktop. They also often include many fun and rewarding features, including subscriptions and syndicates, that can significantly improve your chances of winning and decrease the overall cost of playing the lotto. Polish Lotto – Is It Worth Playing? With cheap ticket prices, totally respectable windfalls, solid odds of winnings, and extremely straightforward gameplay mechanics, Polish Lotto is a worthy contender in the international lottery industry. While its jackpots might not be as impressive as some bigger and more prominent lotteries, the significantly better odds of winning and the fact that the draws take place three times per week make Polish Lotto worth giving a shot. I am living in Berlin and use to work in Warsaw. I played Poland Lotto many times during my year there, am glad I can still play that in my home country as well. Much better odds than that of our 6 aus 49.